To Nike Women Victory Tour πραμγατοποιήθηκε με μεγάλη επιτυχία στην Αθήνα αυτό το Σάββατο 28/05 στο ΟΑΚΑ! 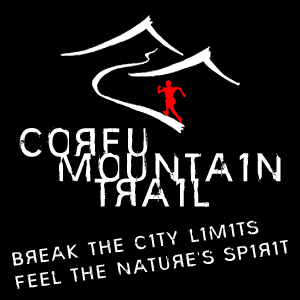 Χρησιμοποιήσε τον αριθμό συμμετοχής σου (BIB number) για να δεις και να κατεβάσεις τις φωτογραφίες σου! Εισάγετε τον αριθμό σας από τον 4ο Αγώνα Ρεματιάς Χαλανδρίου και ενημερώστε το προφίλ σας στο Facebook με τις φωτογραφίες σας από τον αγώνα. The 37th 20K Race of the Athens Health Runners Club was held with participation record. More than 1800 runners around the world run along the seaside of Athens and experienced one of the fastest and most popular running events of Athens. The first “Spiros Louis 10K” in honor of the first modern Olympic marathon race winner took place this morning with great success. The 10K Glyfada Run was held with even greater success than last year with the participation of more than 1.200 runners from Greece and abroad; a number which is a new record for the 10K Glyfada Run. The 31st 10K Race of the Athens Health Runners Club was held with participation and bad weather conditions record. Despite the severe weather conditions more than 1750 runners around the world run along the seaside of Athens and experienced one of the fastest and most popular running events of Athens. 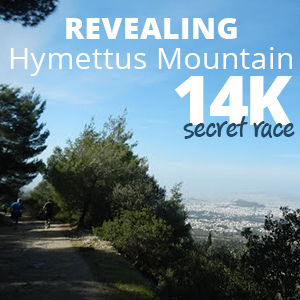 Thousands of runners created an amazing image of Athens on Sunday 10th of November 2013! 31,000 runners from 100 countries around the world participated in the race, a record number for the event, making it a major international sport event. The 1st Serifos Sunset Race was successfully held over the weekend 28-29 September 2013. There were more than one hundred people of all ages from Greece and abroad that experienced a sunset run along the beautiful beaches of Serifos. Thousands of people of every age, experienced athletes, amateur runners and children created a unique, festive Sunday morning, by running to the parallel races of 3rd Halandri 10K Run Race. The record participation of 2000 runners from Greece and abroad, that were almost double from last year, and the high level of the event organization highlighted it as the leading one conducted in Athens. It was really touching the participation of patients from "Kareleio" Foundation that suffer from Altzheimer disease, and the winner of silver medal in the javelin at the World Athletics Championships of people with special needs. Thousands of people of every age, experienced athletes, amateur runners, mummies with prams and children created a different, festive Sunday morning, by participating to the parallel races of 7th Ioannina Lake Run. 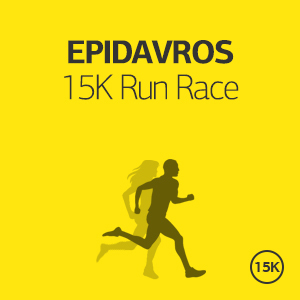 The massive participation of more than 1.500 runners and the high level of the event organization highlighted it as the leading one conducted in Epirus.